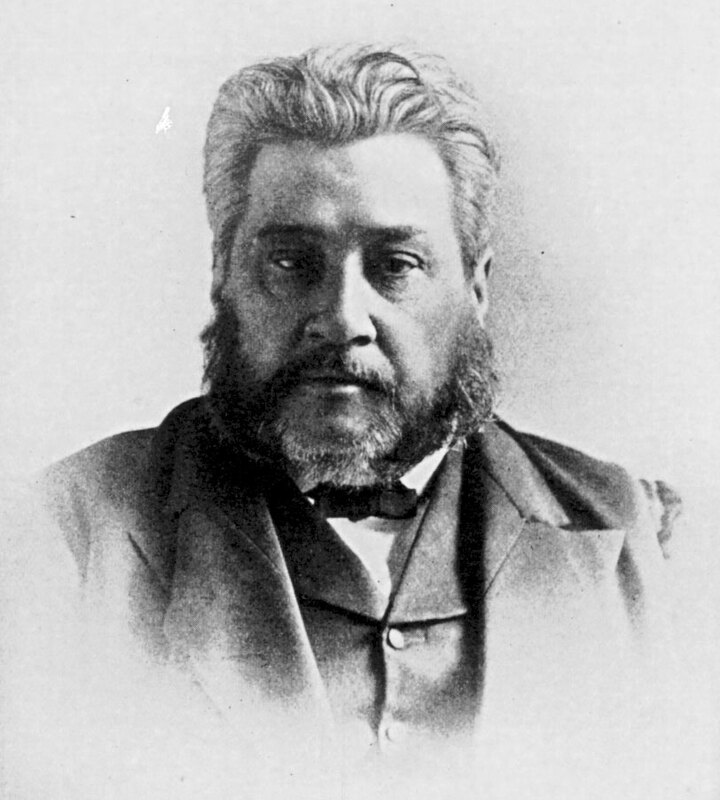 Charles Spurgeon tenaciously held to the doctrine of unconditional election. By necessity, this biblical truth flows from belief in human depravity. Because the will of man is utterly dead and cannot choose God, God must exercise His sovereign will to save. Out of the mass of fallen humanity, God made an eternal, distinguishing choice. Before the foundation of the world, He determined whom He would save. Spurgeon contended that were it not for God’s choice of His elect, none would be saved. In the very beginning, when this great universe lay in the mind of God, like unborn forests in the acorn cup; long ere the echoes awoke the solitudes; before the mountains were brought forth; and long ere the light flashed through the sky, God loved His chosen creatures. Before there was any created being—when the ether was not fanned by an angel’s wing, when space itself had not an existence, when there was nothing save God alone—even then, in that loneliness of Deity, and in that deep quiet and profundity, His bowels moved with love for His chosen. Their names were written on His heart, and then were they dear to His soul. This entry was posted in Calvinism, Ligonier Ministries, Nathan Bingham, Spurgeon, The Expositor on 14 September 2015 by Michael Corley. There is a thread—a scarlet cord, if you will—of Believers who make up the remnant that exists in every generation. The Bride of Yeshua, made up of Jews and gentiles, always has ample representation that bears witness to His reality to anyone who will listen. They are the “whosoevers” of John 3:16.
vision from one to another, keeping hope alive for the Jewish people’s assurance of God’s covenant-keeping power. The prince of preachers proclaimed the Prince of Peace in his day. We follow and do the same.We believe and we work on … for the glorious future of God’s own people and His covenant promises. Published with the permission of Zola Levitt Ministries. Myles Weiss is co-host of Zola Levitt Presents. This entry was posted in Israel, Myles Weiss, Spurgeon, The Expositor on 12 December 2012 by Michael Corley. The enemies inside the church do her the most serious damage—she suffers most from those fearfully presumptuous sinners who are not satisfied with sinning in the King’s kingdom, but must needs sin in the King’s palace, who dare to bring their filthinesses even to his own table, and pollute it. If any of you who are hypocrites hope to escape, you need dwell deep indeed! Where are the deep places which can afford refuge to religious pretenders? Where shall liars conceal themselves? O, hypocrite! it may be you have planned your sin so cleverly that the wife of your bosom does not know it: your scheme is so admirably cunning that you carry two faces, and yet no Christian sees other than that Christian mask of yours. Ah, sir! but you are a greater fool than I take you for, if you think you can deceive your God. Your own conscience must be very uneasy. Hypocrites are the devil’s martyrs; they endure a life-long martyrdom of constraint and fear. I have seen, when I was a boy, a juggler in the street throw up half-a-dozen balls, or knives and plates, and continue catching and throwing them, and to me it seemed marvellous; but the religious juggler beats all others hollow. He has to keep up Christianity and worldliness at the same time, and catch two sets of balls at once. To be a freeman of Christ and a slave of the world, at the same time, must need fine acting. One of these days you, Sir Juggler, will make a slip with one of the balls, and your game will be over. A man cannot always keep it up, and play the game so cleverly at all hours; sooner or later he fails, and then he is made a hissing and a by-word, and becomes ashamed, if any shame be left in him. O, “dwell deep, ye inhabitants of Dedan,” if you think to escape from God’s eye and from the revealing power of his providence. Better were it for you to come right out, and throw away your cloaks, and be deceivers no longer. Cast off your double-mindedness. “Cease to do evil, learn to do well,” for it is time to seek the Lord, and may God grant you his effectual grace that you may do so at once, ere he condemn you to the lowest hell. This entry was posted in Spurgeon, The Expositor on 17 November 2011 by Michael Corley. “Sanctify them through thy truth: thy word is truth.”—John 17:17.
hat is the truth? There is the point. Is the truth that which I imagine to be revealed to me by some private communication? Am I to fancy that I enjoy some special revelation, and am I to order my life by voices, dreams, and impressions? Another man announces in God’s name a dogma which, on the face of it, is a lie against the Holy Ghost. He says the Spirit of God told him so-and-so; but we know that the Holy Ghost never contradicts himself. If your imaginary revelation is not according to this Word, it has no weight with us; and if it is according to this Word, it is no new thing. What a blessing it is that all the truth that is necessary to sanctify us is revealed in the Word of God, so that we have not to expend our energies upon discovering truth, but may, to our far greater profit, use revealed truth for its divine ends and purposes! There will be no more revelations; no more are needed. The canon is fixed and complete, and he that adds to it shall have added to him the plagues that are written in this Book. This entry was posted in Spurgeon, The Expositor, Word of God on 24 August 2011 by theexpositor. “The voice of weeping shall be no more heard.”—Isaiah 65:19. This entry was posted in Devotional, Isaiah, Spurgeon, The Expositor on 23 August 2011 by theexpositor. Spurgeon on separation from false teachers. C.H.S., The Forgotten Spurgeon, Murray, 164-165. C.H.S., The Sword and Trowel. C.H.S., 1888, The Sword and Trowel, 127. This entry was posted in False Prophets, Spurgeon, The Expositor on 4 March 2011 by theexpositor. The PyroManiacs devote some space each weekend to highlights from The Spurgeon Archive. The following excerpt is from "God Alone the Salvation of his People," a sermon preached on Sunday morning, 18 May 1856, at the New Park Street Chapel in Southwark, London. od "only is our rock and our salvation." If any one should ask us what we would choose for our motto, as preachers of the gospel, we think we should reply, "God only is our salvation." The late lamented Mr. Denham has put at the foot of his portrait, a most admirable Iext, "Salvation is of the Lord" Now, that is just an epitome of Calvinism; it is the sum and the substance of it. If any one should ask you what you mean by a Calvinist, you may reply, "He is one who says, salvation is of the Lord." I cannot find in Scripture any other doctrine than this. It is the essence of the Bible. "He only is my rock and my salvation." Tell me anything that departs from this and it will be a heresy; tell me a heresy, and I shall find its essence here, that it has departed from this great, this fundamental, this rocky truth, "God is my rock and my salvation." What is the heresy of Rome, but the addition of something to the perfect merits of Jesus Christ—the bringing in of the works of the flesh, to assist in our justification? and what is that heresy of Arminianism but the secret addition of something to the complete work of the Redeemer? You will find that every heresy, if rough to the touchstone, will discover itself here, it departs from this, "He only is my rock and my salvation." This entry was posted in Pyromaniacs, Spurgeon, The Expositor on 15 February 2011 by theexpositor.